Jackie received her 200hr teaching certification from Rainbow Body Yoga. 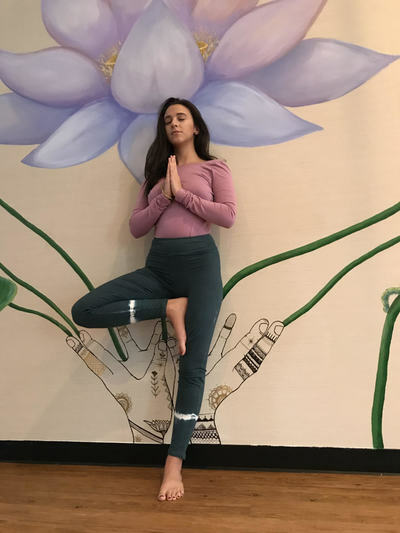 As a registered dental hygienist educating her patients on oral health, to educating her yoga students on postures and yogic philosophy, she thrives from teaching others. Jackie enjoys yoga for it’s healing benefits for the mind, body and soul. She struggles with chronic work-related musculoskeletal pain and has used yoga as effective alternative medicine to protect her career longevity. She hopes to create a yoga class specific for work-related musculoskeletal disorders in the future. She shapes her yoga classes around detailed target areas of the body and uses proper alignment instructions throughout to ensure safe and powerful yoga postures. Ending with deep relaxation techniques and spiritual readings, you will leave Jackie’s class feeling open and revitalized.